The Samuel Adams Boston Brewery team is proud to invite you to join us in our support for Sierra Nevada's Camp Fire Relief Fund. Craft brewers coast to coast have teamed up to support those affected by the California wildfires by collectively brewing Resilience IPA, a recipe created by the brewers of Sierra Nevada. All sales from this special beer will be donated to the fund. 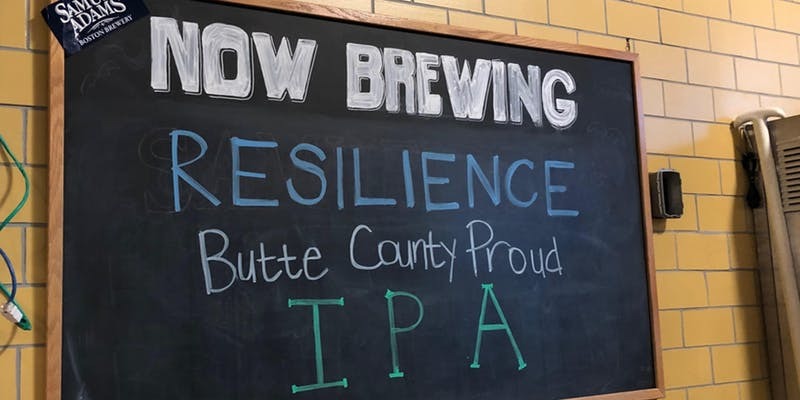 We are welcoming the brew to our Tap Room with a launch party on Thursday, Dec. 27 from 5-8 p.m.
We'll have Resilience IPA on tap as long as it lasts and will donate 100% of all sales of the beer to the relief fund. If you can't make it to the party, join us for a pint and know that your purchase will support the cause. This event is 21+ and tickets are limited. Tickets cost $30 at the door. Last call is at 7:45 p.m. No refunds available.